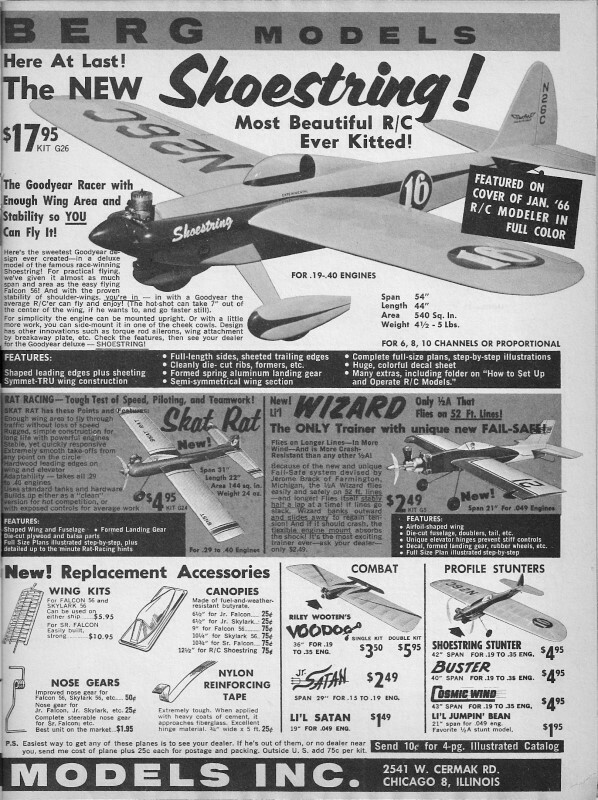 This particular page is from page of the February 1967 issue of Model Airplane News magazine. 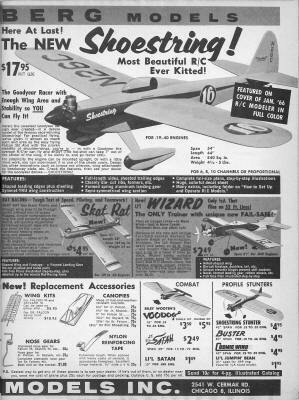 The Carl Goldberg 1/2A Skylane was my first for-real radio-controlled airplane. 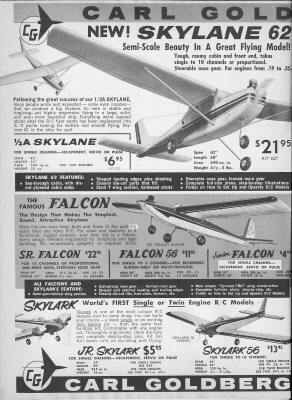 Actually, at the time I did not have the money for an R/C system, so the Skylane was built for free-flight. It never even flew in free-flight mode because instead I would just run the Cox .049 Baby Bee at low RPM and chase it up and down the street, increasing the RPM just a little each time until the Skylane would just get light on its wheels. The first time it ever got airborne was while being towed behind my bicycle. That didn't work out very well, because once it got up off the ground, it would start swinging back and forth and eventually strike a wing before I could ease it down. Carl Goldberg models are now manufactured by Great Panes. All copyrights (if any) are hereby acknowledged. Use the U.S. Bureau of Labor Statistics' inflation calculator to see what items cost in today's dollars. 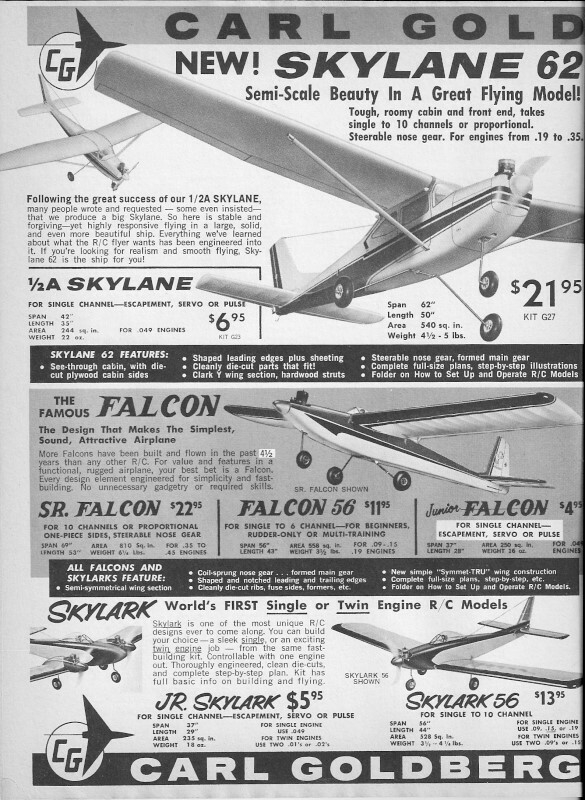 For instance, that $13.95 "Skylark 56" would be $90.50 in 2010 money - about right for that kit. Here is an article from the July/August edition of American Modeler titled, "Carl Goldberg: Mr. Modeling." 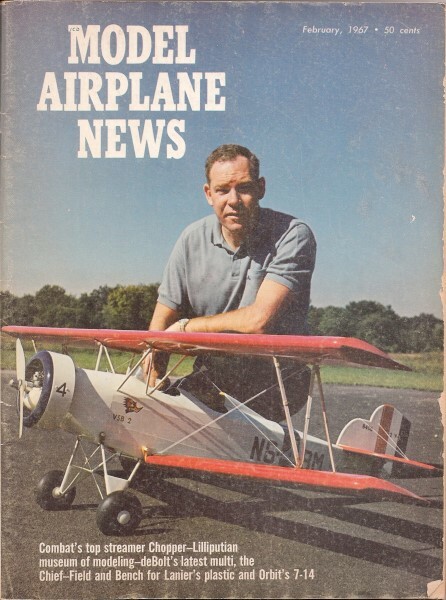 See all Model Airplanes News items.